Cape Town - Kaizer Chiefs defenders Ramahlwe Mphahlele and Kgotso Moleko have recovered from their respective injuries and are back in training. 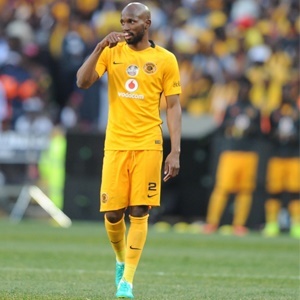 Mphahlele last played for Amakhosi in an Absa Premiership league match against SuperSport United on August 23 and has been side-lined with a knee injury he sustained while representing Bafana Bafana against the Cape Verde Islands on September 5. Moleko, who was Mphahlele's replacement at right-back, has also been out with a knee injury after he was hurt in the Macufe Cup win over Bloemfontein Celtic in October. The news of their return was confirmed via the Glamour Boys' Twitter account on Wednesday: "Injury Updates: Defenders Ramahlwe Mphahlele and Kgotso Moleko have both resumed full training #KCOneTeam." Coach Steve Komphela has battled with a series of injuries to his team this season, especially in defence. Left-back Tsepo Masilela remains out with an ankle problem, while forwards Ryan Moon (jaw) and Emmanuel Letlotlo (knee) are also still injured. Chiefs' next mission is an Absa Premiership clash, away to Chippa United at the Nelson Mandela Bay Stadium on December 6.